Soon it will be Valentine's Day again! Yes, everywhere I read about the coming of that day. How could I forget? Even on my Facebook account, I have already received some Valentine's greetings. Thinking about a special dessert and writing an article, I thought why not hit two birds with one stone? I decided to make a fruity, delicious dessert—and also share my recipe here with you. This dessert is easy to make. It has only five ingredients, excluding the decoration. 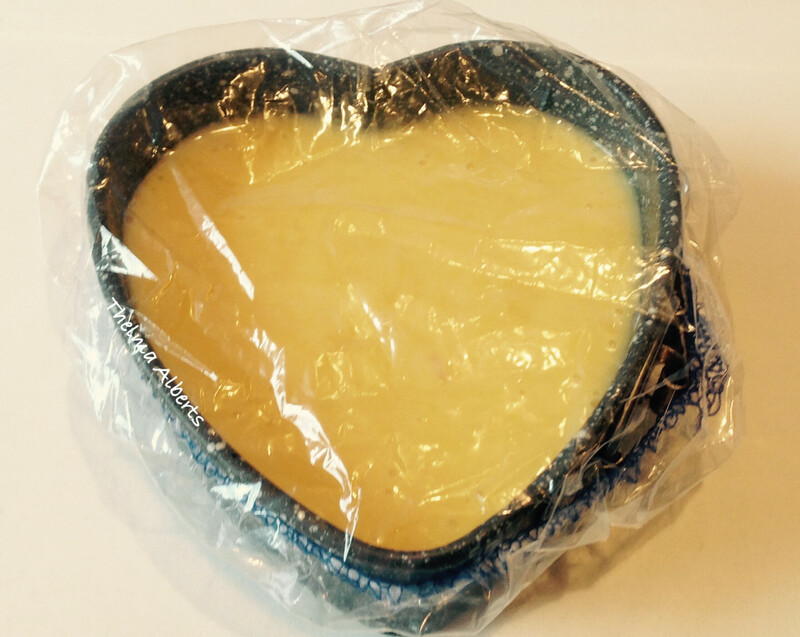 It is a two-person dessert that contains biscuits or cookies, mango, peanut butter, condensed milk, and gelatin. This recipe has a crunchy layer of peanut butter and biscuits, and a fruity filling of pureed mango. This recipe has a crunchy peanut butter and biscuits layer, and a fruity filling of pureed mango. I used two pieces of 10 cm in diameter and 11 cm length heart springforms. Make crumbs out of the biscuits or cookies by putting them in cellophane. Seal the cellophane and roll a rolling pin on top until the biscuits are fine enough for your taste. Put the crumbs in a bowl. 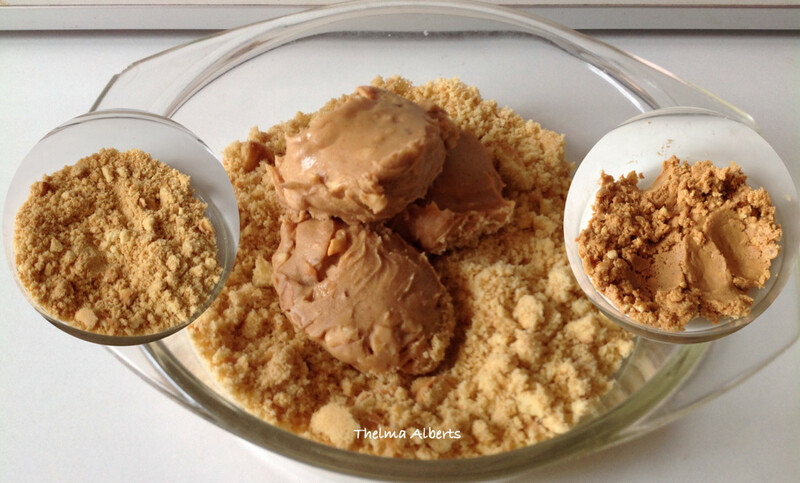 Add the peanut butter to the biscuit crumbs and combine them together, forming them into a paste. Divide the peanut butter and biscuit paste in half. Put each half into two non-stick heart springforms. 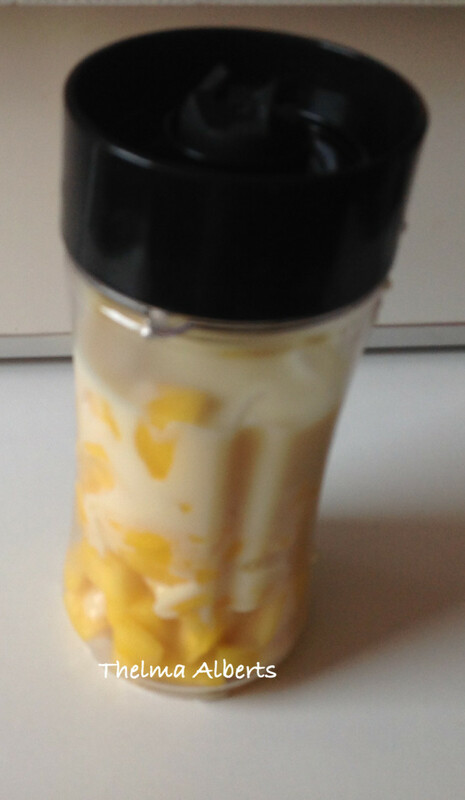 Press the paste on the bottom of the springform and put them in the refrigerator while you are working with the mango mixture. Prepare the colorless gelatin by following the instruction of the sachet. (I have used powder gelatin and I had to combine it in 6 tablespoons of cold water in a pot and wait for 10 minutes until it was set. Then I had to melt the gelatin on the stove on moderate heat until it was well melted). 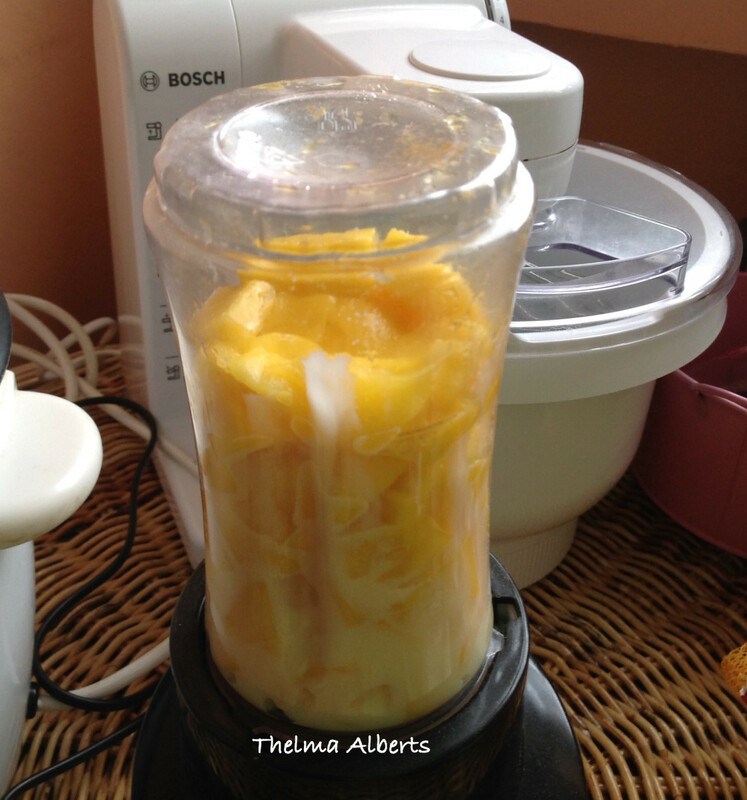 Put the mango cubes and condensed milk in a smoothie maker or blender and blend well. Then add the melted gelatin and blend them together. 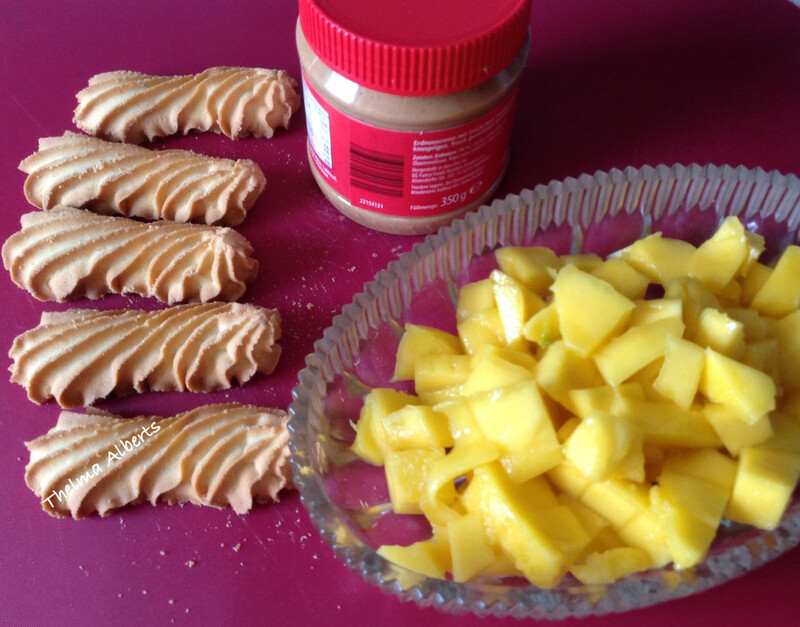 Get the peanut butter and biscuits springform from the fridge and add the mango mixture on top. 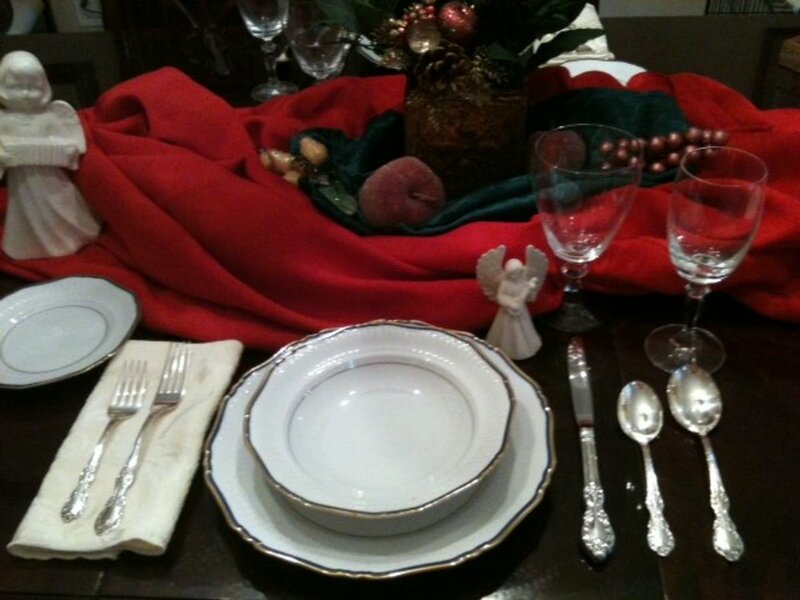 Let the dessert set in in the fridge for at least 3 hours or overnight before decorating. Decorate with marzipan heart or whatever you want to put on top, like chocolate shavings or sprinkles. Get the mango dessert out of the springform carefully and serve on a dessert plate. Enjoy! Use ripe mango, as you can spoon the mango meat easily out of the skin. Below is a video on how to cut a ripe mango. Please watch it. Use any kind of biscuits or cookies you love. Graham crackers will be good for this recipe, as well. The cooling time of the dessert is not included in the preparation time. 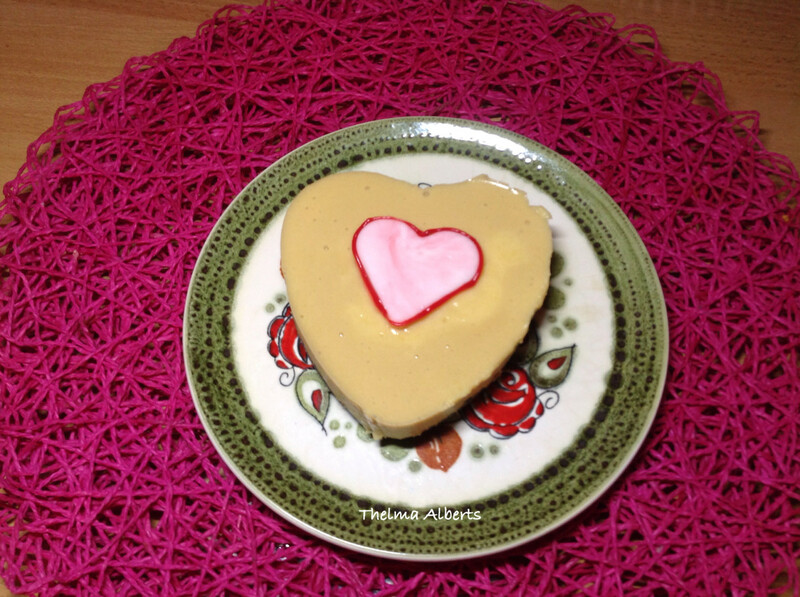 Decorate the dessert with a heart form marzipan, chocolates, or candies and be creative. 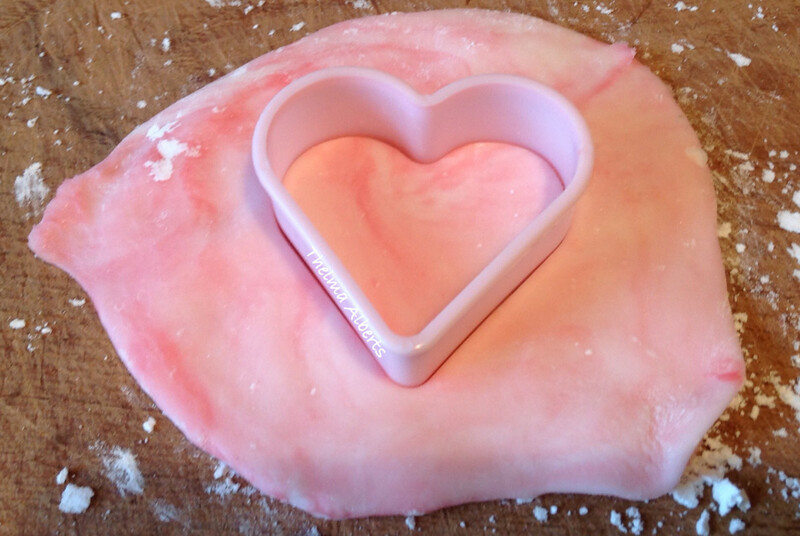 You can use a heart cookie cutter for making a marzipan heart. 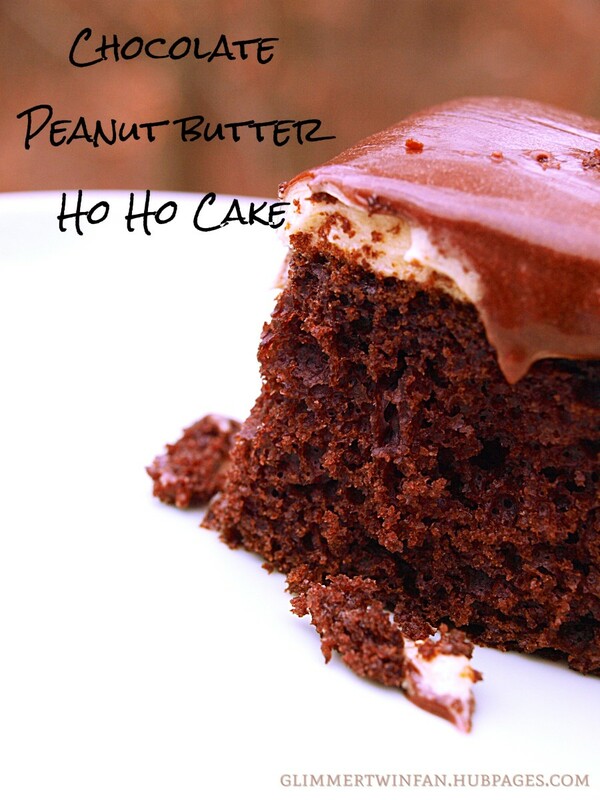 If you have a peanut allergy, this dessert is not for you, but you can substitute the peanut butter with chocolate spread. I love eating marzipan. I mostly use it for decorating my cakes, cupcakes, and some desserts that need a decoration. I still have marzipan left over from my Christmas cake last year, so I used this for decorating my mango peanut butter dessert. 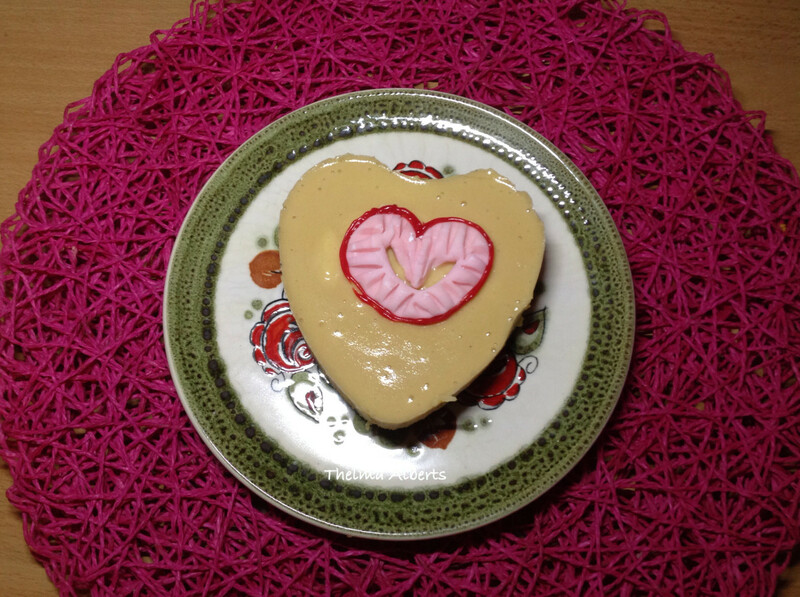 It was very easy to make the marzipan hearts using a heart cookie cutter that I bought from the Euro shop in our city. 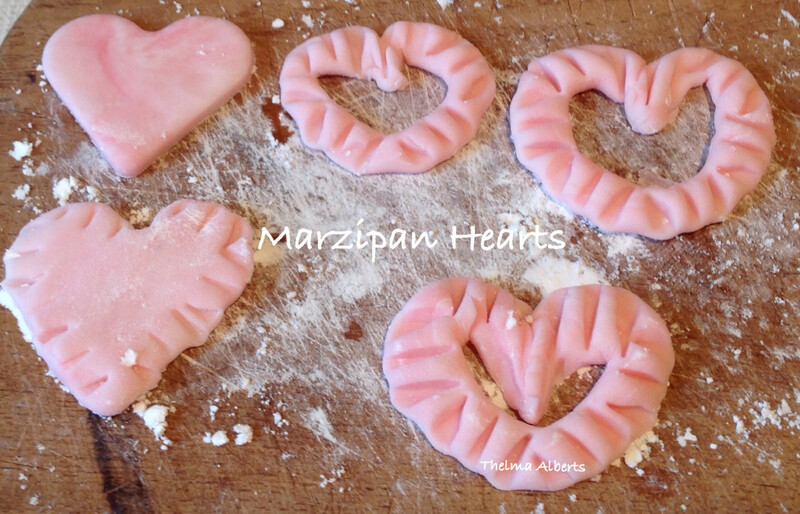 Then, I rolled some of the marzipan on a chopping board with confectioners sugar and formed them into hearts. I used confectioners' sugar to avoid having sticky hands when forming the marzipan. I pushed a cake fork on the sides of the hearts to make a design, as you can see in the photo above. Mango is said to be the king of all fruits. One of the world's superfruits. It is the national fruit not only in the Philippines, but also in India and Pakistan. Mango fruits have many variations in size, shape, color, and taste. They come in green, yellow, orange, and red. They are long, oblong, or small. The taste depends on the variety of the mango. A mango has only one single flat pit. Some of the mangoes have a fibrous surface of the pit and are hard to get off. A ripe mango is very juicy and has a sweet, delicious flavor. Ripe mangoes are widely used in many cuisines around the world. It is useful in making chicken curry, marmalade, fruit juice, smoothies, cakes, cupcakes, muffins, and desserts. In the Philippines, a green mango is usually eaten with salt or Bagoong. Bagoong is a fermented shrimp paste. Some Filipinos eat green mangoes with vinegar and salt. Dried mangoes are one of the must-have bought food for Filipino expats and Filipinos who are working and living abroad. A 100 g serving of mango is equivalent to 60 kcal. 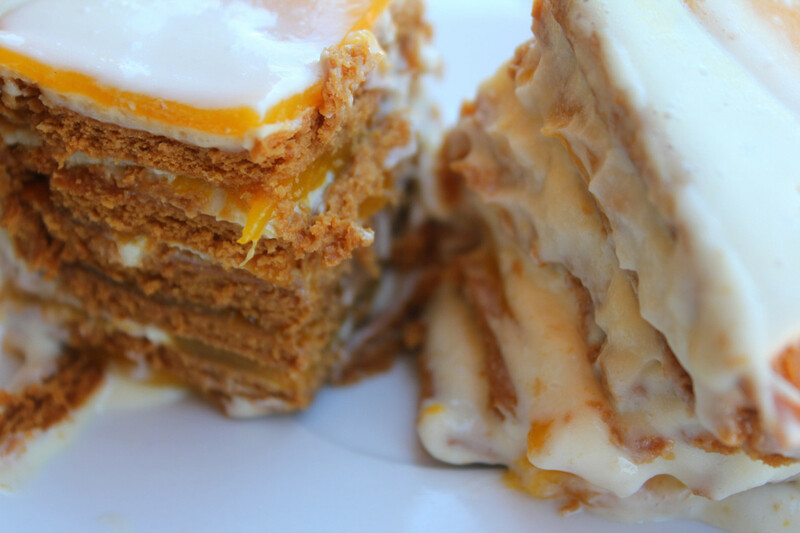 I hope I have inspired you to make this mango peanut butter dessert for your loved ones. 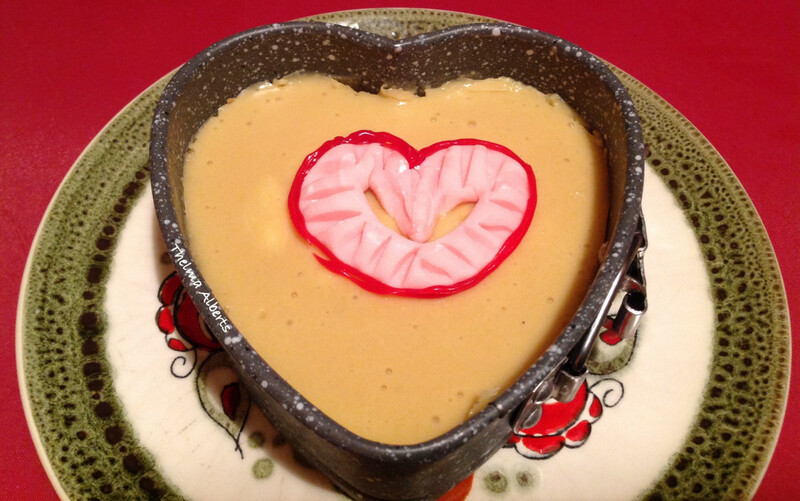 You can make this dessert the night before the Valentine's Day. Have you tried eating a mango and peanut butter dessert? No, I don´t like mango. No, I don´t like peanut butter. Here's How to cut Your Mango! I'm allergic to mango. 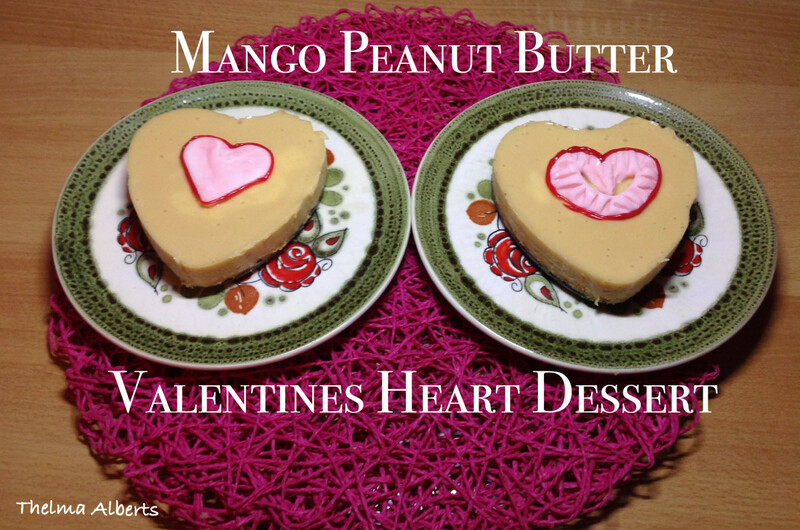 What fruit would you suggest that I substitute for mango in the mango peanut butter Valentine's heart recipe? I would suggest pineapple as a substitute, but I think you can use any fruit you like. Thank you Silvia. I hope you will like it. YUM! Sounds so delicious and looks so festive! Can’t wait to try it! Thank you very much Chin chin. Yes you can omit the marzipan and decorate this with whatever you like. Have a great week. This looks yummy, Thelma. 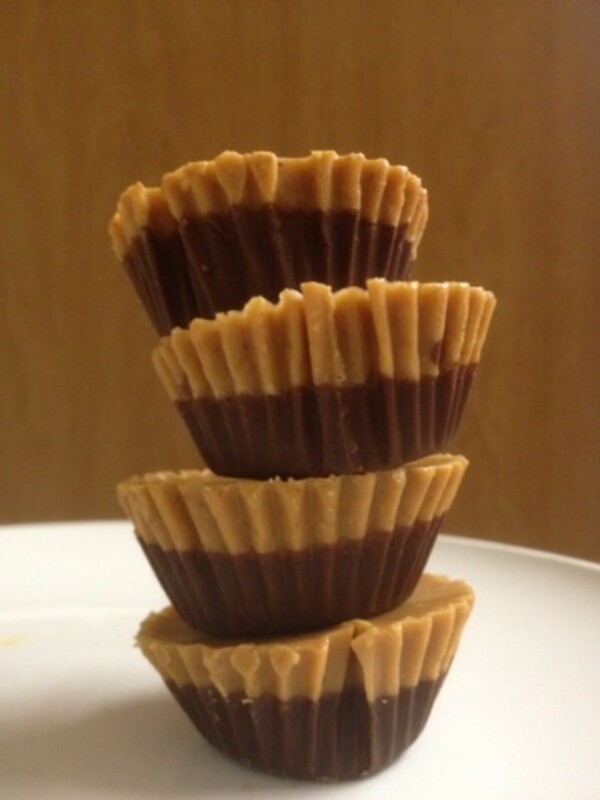 My son would love this because he likes peanut butter. But if I would do this, I probably would skip the marzipan and just decorate with some melted chocolates. Thanks to you, too Patricia. Thank you very much Patricia. Angels are on your way, too. Take care. 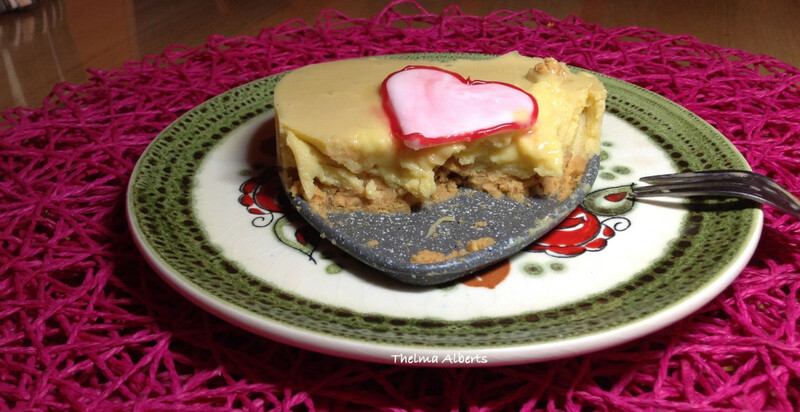 You can make this recipe not only for Valentine´s Day but for any time you want. Regards to your Filipina daughter-in-law. I am sure you have eaten some of Filipino food she cooked. Thanks for your comment. Take care. 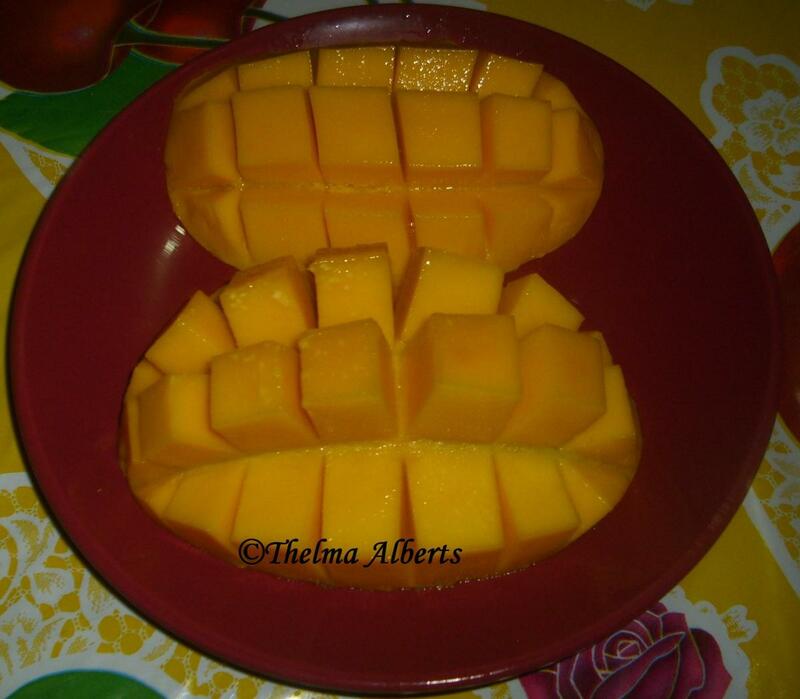 This looks very yummy-- I wish that I had read about it for Valentine's Day-- ah well, mango is great for any occasion! (I have a Filippina daughter-in-law). Congratulations on having your recipe selected! I look forward to trying it! Thank you very much FlourishAnyway. Have a successful and a wonderful month of March. Congratulations on winning the LoveHub Contest. 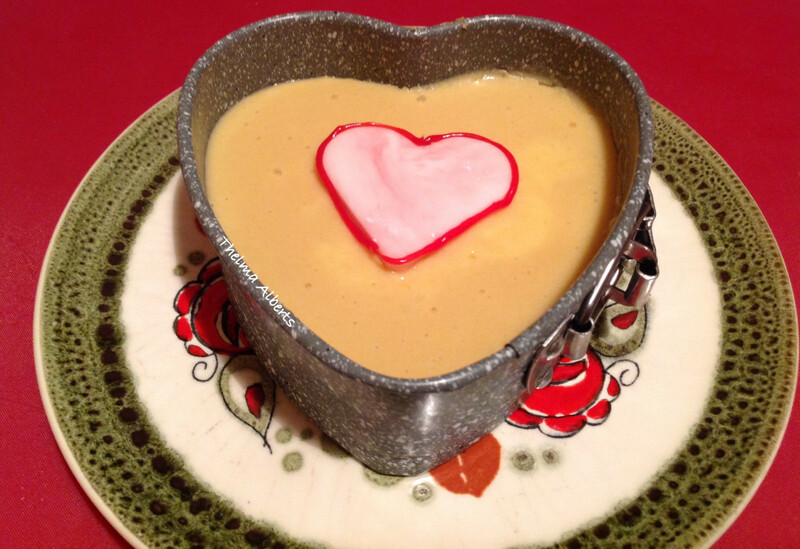 This recipe is unique in its flavor combinations and the heart shape could be appropriate year-round for your sweetie. Thank you very much Kenna McHugh. Congratulations on winning the LoveHub Writing Contest. I think this is an Asian combination of making a dessert. I hope you will try this and would tell me how you like it. Thanks for your nice comment. Thanks for your wonderful comment and for coming back to this hub. Belated Happy Valentine´s Day to you. I hope you will try this recipe and would tell me how you like it. Thank you Shaloo Walia. Have a nice day. Came back to enjoy your recipe once again. For me it is a winner recipe, as I have never seen this earlier. This looks delicious. 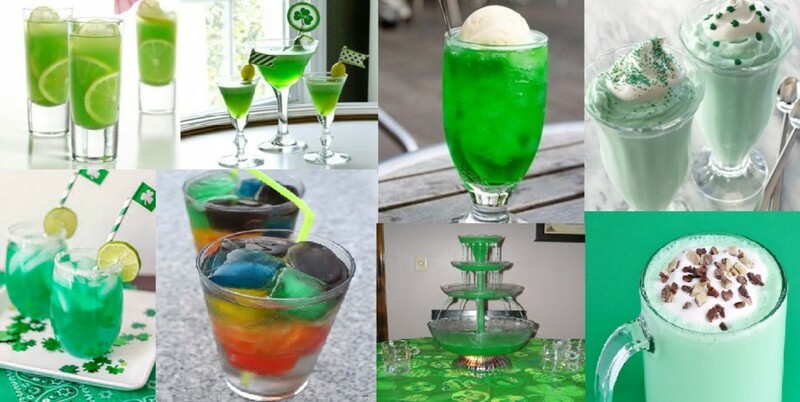 I have never tasted this combination but would love to try making this sometime soon. This is innovative, and sounds delicious! I like your combination of ingredients, and can imagine the yummy taste, it will have. Worth a try. Thanks for sharing. Happy Valentine’s Day to you! Thank you, Gloria. Enjoy making this dessert. Happy Valentine´s Day to you. Yummy! I'll try anything that has peanut butter in it! You are very welcome Andria. Have a lovely new week. Happy Valentine´s Day to you. Thanks for your visit. You are very welcome Kenna. Thank you for your visit. Have a great new week. 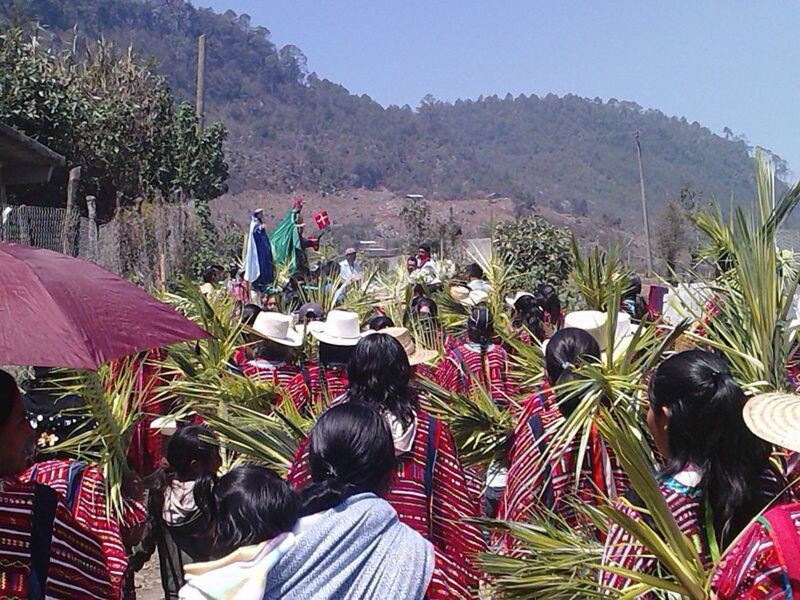 Enjoy your Valentine´s Day as well. I love mango, thanks for the recipe! 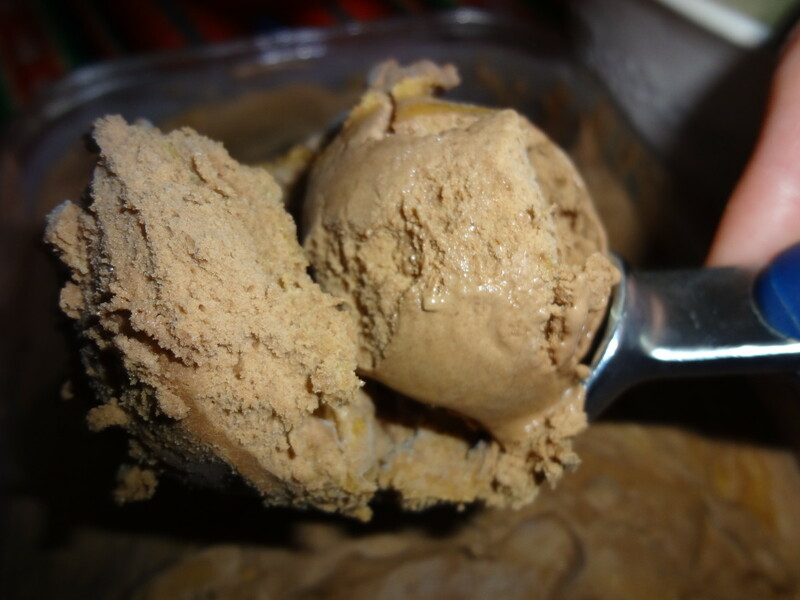 The flavours of peanut butter, mango, and condensed milk mingled together sounds wonderful! 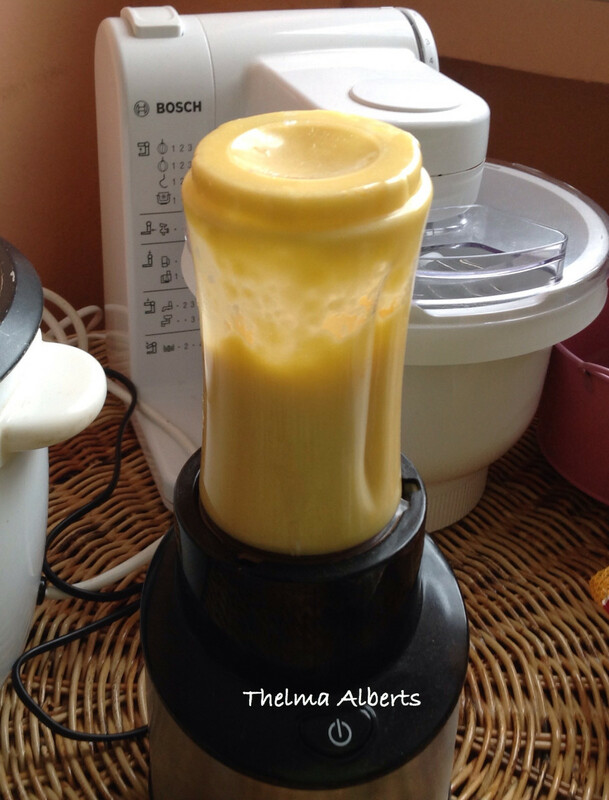 Thank you for sharing this recipe, Thelma. Mango is one of my favorite fruit. Thank you for the recipe. Thank you very much, Peggy. It is a winning recipe for me, too. It is very easy to make and I hope you will try it. Enjoy your weekend. God bless us. What a delicious sounding dessert Thelma! Thanks for your recipe. 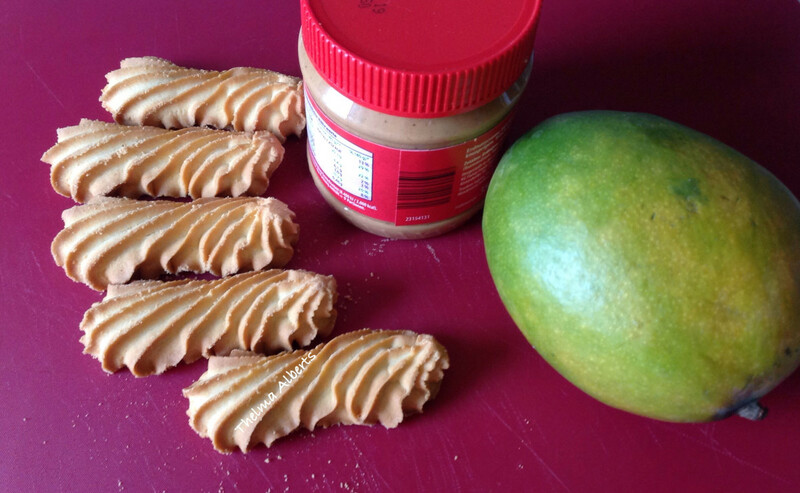 Mangoes are so good and combining them with the rest of the ingredients including peanut butter sounds like a winning recipe to me. Thank you very much Gypsy Rose Lee. Have a love Friday and a great weekend ahead. 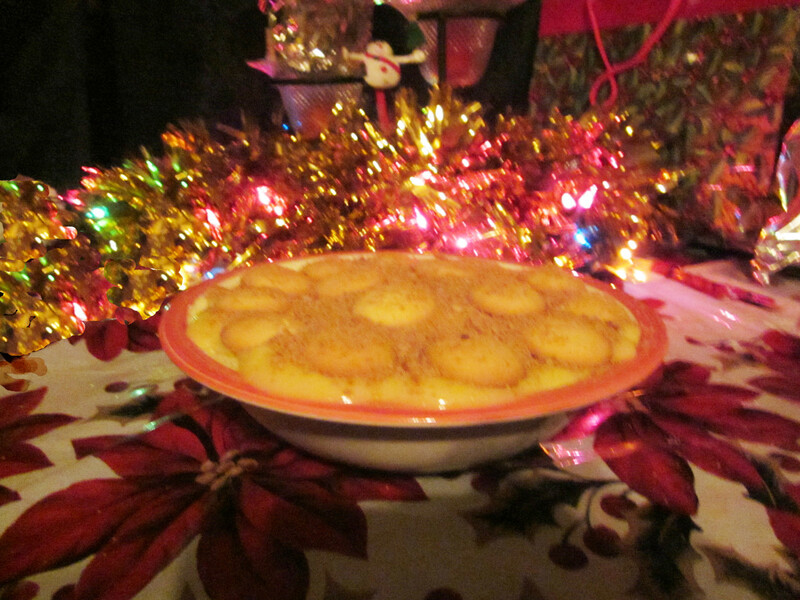 Not really Carol Graham-) It took only about half an hour to make this dessert. Writing this recipe and editing my photos took me 2 nights to finish. Thanks for your visit. Have a great weekend ahead. Looks like a lot of work but I bet it is worth it. I will have to try it. You got me so hungry. This looks fantastic.